For an entire year, an Italian man posing as a British plastic surgeon worked in several private medical clinics in Bucharest as well as Monza Hospital, one of the largest private hospitals in the country, after receiving official documents from Romanian authorities based on a false medical diploma, according to a report by Libertatea. The man said his name was Matthew Mode and started to operate at four clinics in March 2018, but his real name is Matteo Politi, and he is an Italian citizen who didn’t even graduate high school. On his Facebook page, Dr. Matthew Mode promoted cosmetic procedures, including surgery, performed at an expensive and high class clinic in Bucharest. He posed in blue scrubs with a broad smile and a syringe of Botox. He even posted a video on YouTube in which he advertises for a plastic surgery clinic in Bucharest. In the video, he appears to be giving Botox injections to several patients. But the authorities in Romania finally discovered that he was not authorized to practice medicine there, and questions have been raised about whether he is really a doctor or not, and, of course, how could such a situation had happened. After being caught and convicted in Italy, Matteo Politi came to Romania, where he changed his name to Matthew Mode. So he had good reason for not promoting himself as Matteo Politi. In 2011, a court in Italy found that he had practiced medicine illegally, under that name, and gave him a suspended prison sentence. He started building his false career as a surgeon in Romania in 2016 when he was interviewed by a local tabloid about the breast implants of a local celebrity. His fake CV was impressive: Matthew Mode studied at the UPMC Presbyterian Shadyside Hospital and Johns Hopkins University School of Medicine in the U.S. However, he was exposed by nurses who noticed that he didn’t even know how to put on his gloves or wash his hands before surgery. But before that, he apparently performed surgeries at four private hospitals in Bucharest – Euromedical, Prestige, MH Medical Group, and Monza – Libertatea journalists reported. He did receive an identification code as a health care provider, in the name of Matteo Politi, from Bucharest’s public health authority in March last year. But on Tuesday the agency apologized for issuing the code and said in a statement that it was investigating how that had happened. That code alone should not have been enough for Mr. Politi, who had emigrated from Italy, to practice medicine in Romania. He also needed authorizations from the Ministry of Health and the Romanian College of Physicians; both the ministry and the college said he did not have those credentials, and that they had begun investigations. It all started when Romanian health authorities began looking into Matteo Politi – the name he used before calling himself Matthew Mode – after news reports that he had operated on at least one woman without proper credentials. Almost a year after he began practicing medicine in Bucharest, prosecutors there have opened a criminal investigation into his actions. On the morning of February 6th, Romanian border guards found him trying to leave the country on a train bound for Budapest, removed him and handed him over to the police. But how could he pass a surgeon without even having a highschool degree? But how was it possible that an individual who didn’t even go to college fooled everyone and got to perform surgery on actual patients? The Libertatea investigation carried out by Alexandra Nistoroiu, Mirela Neag, Răzvan Luțac, and Cătălin Tolontan, the same team that worked on the Hexi Pharma diluted disinfectants story, shows that Matteo Politi used an approval he got from the Public Health Direction (DSP) in Bucharest to fool his employers. His lawyer in that case, Silvia Sanna, said on Wednesday that he had not taken the exam to become licensed in Italy to practice medicine. He did not have a medical degree from an Italian university, she said, adding that she did not know if he had one from another country. The story of his Romanian exploits first appeared this week in the popular tabloid Libertatea, which reported that he had claimed medical degrees from Johns Hopkins University in Baltimore and a university in Pristina, Kosovo. The Kosovar university chose not to comment on this story. A spokeswoman for Johns Hopkins’ medical school said on the 6th of February that it had no record of students named Matteo Politi or Matthew Mode. In order to be allowed to operate in Romania, foreign surgeons need to be registered with the local professional organization – the Romanian College of Physicians (CMR). Thus, the clinics that allowed the fake doctor to operate without the CMR’s clearance broke the regulations, according to Libertatea. Soon after the story broke in Romania, the fake doctor took down his Facebook page. The Monza Hospital in Bucharest issued a press release on Tuesday stating that Matteo Politi performed only one surgery at this hospital after which the collaboration was terminated. The company claims that the pretense doctor presented all the necessary paperwork for this collaboration. 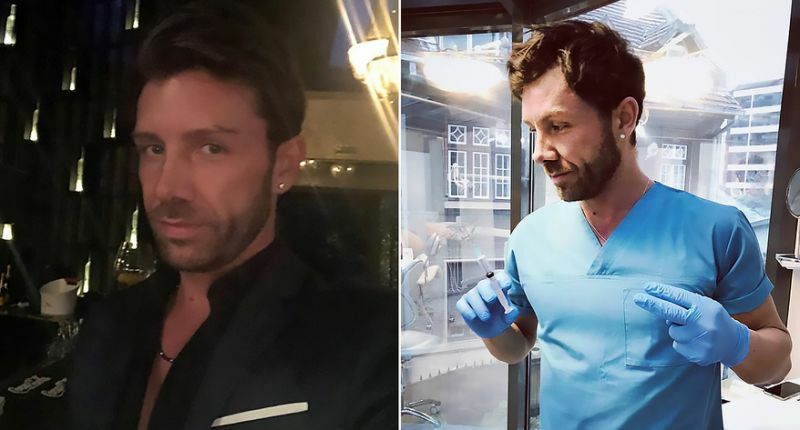 The surgery took place in December 2018 and the patient had been brought by Matthew Mode at a different clinic, according to Monza representatives. The company also said it filed a complaint against the impostor and that it would cooperate with all institutions investigating this case. The Public Health Direction (DSP) also reacted and said that the pretense doctor used a medical rubber stamp that may have been illegally given to him by one of the institution’s employees. The DSP has opened an internal investigation, according to Digi24.ro. Monza Hospital, a private clinic in Bucharest, confirmed that a man named Matteo Politi operated on one female patient in December. But the consultations leading up to the surgery took place in another medical institution, a statement on the clinic’s website said on Tuesday. “Monza Group declares itself the injured party in this case and has begun legal action against Matteo Politi,” the statement said. Mr. Politi’s story has drawn attention to possible loopholes in Romania’s struggling health system, in which private hospitals play a growing role alongside the state-run network. The country’s health minister, Sorina Pintea, recently announced that there would be more checks on the private system after cases of malpractice came to light last year, and she noted that medical impostors existed in other countries. Last year, British medical authorities announced a review of the credentials of some 3.000 foreign physicians who began practicing in Britain before 2003, when checks were less stringent. The review was prompted by the case of Zholia Alemi, 56, a medical-school dropout, who worked at medical facilities around Britain before a news investigation found that she had been practicing under false pretenses.